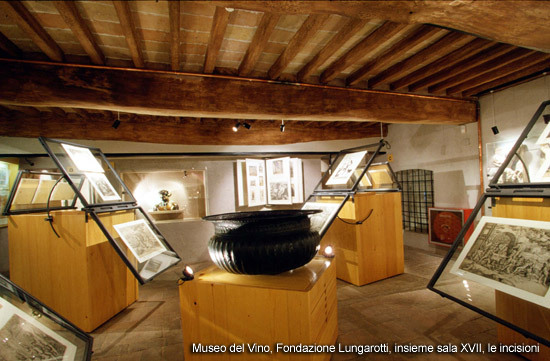 Open to the public in 1974 and directed by the Lungarotti Foundation, the Wine Museum displays the history of wine dating back to the 3rd millenium B.C. 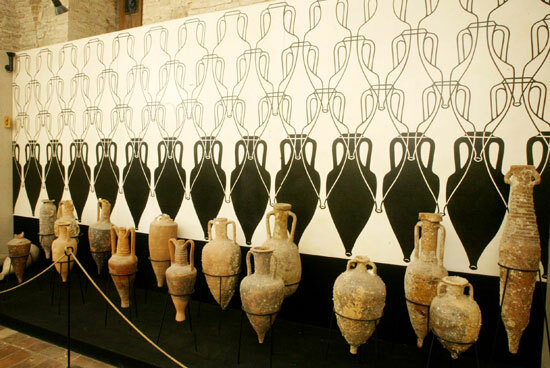 up to today: there are tools used in the vineyards or winery, archeological artifacts, from precious vases and pilgrim’s flasks, to contemporary sculpture. 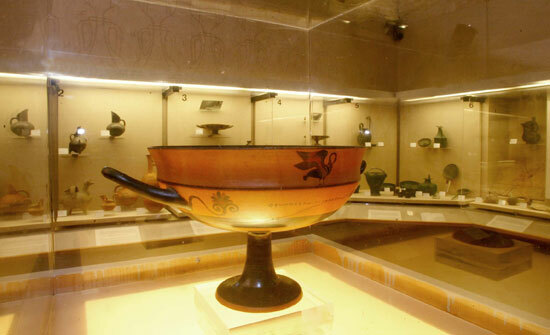 The collections are displayed chronologically: rare editions of scientific treatises, literary and poetic texts, religious symbols, archival documents and again jugs, glasses, cups, bottles, plates and countless other objects demonstrating the highly significant role of wine in the cultures of the Mediterranean. 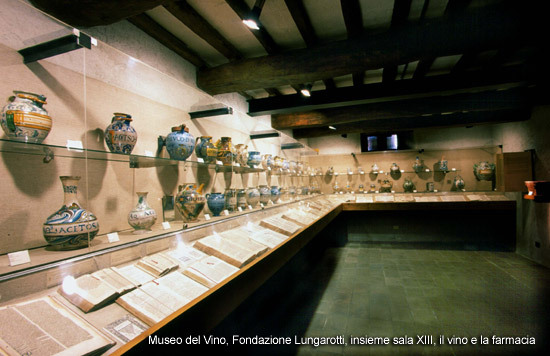 Among the pieces of great interest: the blown-glass cup with human traits designed by Cocteau, the pilgrim’s flask from Urbino, the Medieval, Renaissance and Baroque collections of wine jugs and cups, the creations of Gio Ponti and other 19th century masters. 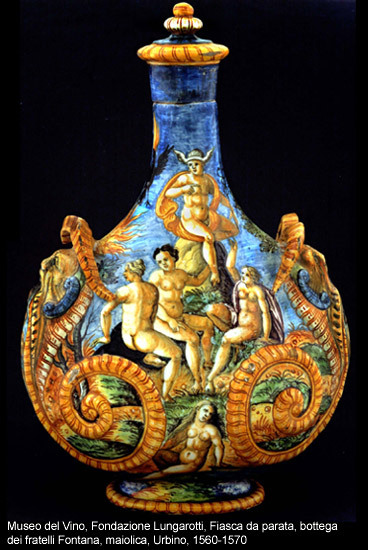 Also of great interest is the collection of more than 600 engravings on a Bacchic theme signed by artists from Mantegna to Picasso. International Flights: Rome / Fiumicino Airport (180 Km).